It is our hope, that following this meeting, a course of action will be taken to help reduce tension between rival groups that has contributed to the recent shooting. The Ministry of National Security has given the council the reassurance, that the Government of Belize will do whatever it takes, to re-establish a sense of security on the island for our citizenry and visitors. The council will be meeting with the Area Representative and Minister of Tourism and Civil Aviation Hon. Manuel Heredia, the Minister with responsibility of Police (Home Affairs) Hon. Elodio Aragon Jr., and Senior Personnel from the Police Department, to establish what those measures will be. 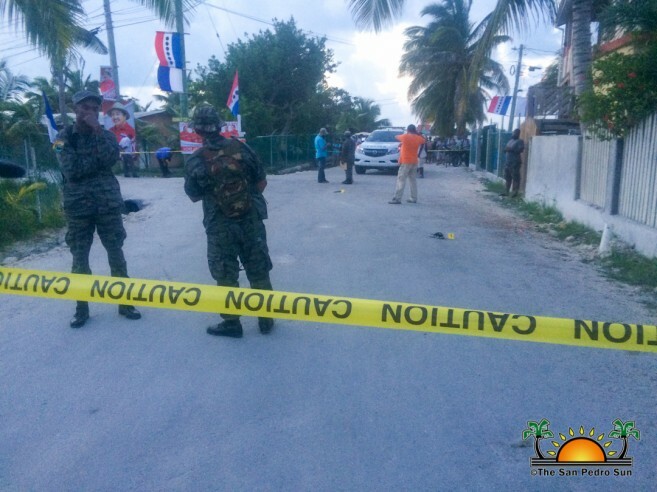 Following these meetings, with our local law enforcement officers on the island, we strongly say that the two recent murders are suspected to be fueled by gangs’ spin-off from Belize City, who are finding new avenues to control the drug trade in Belize. Therefore, the council joins the police in appealing to the community that if they know or have any information that can assist in the investigation, to kindly call the nearest Police station. The council remains steadfast in assisting the police department in their crime-fighting measures. As such, the council wishes to inform the public that the SPTC has and continues to provide assistance to our local authorities with vehicles, housing and appliances on a continuous basis.